"Mother of God make a secret visitation to many hearts." Could it be that she is speaking to your heart, calling YOU to follow her Son in a more profound & intimate way? to become perfect in their vocation." Called by God to become fully who we are; to love & serve Him. & serve Him by prayer & contemplation. Life choices are important moments. Discernment & prayer bring clarity. which makes for the rich tapestry of community. In welcoming women to our way of life, human as well as spiritual formation is considered, as well as the level of maturity. Formation is a period when you deepen your relationship with God in the context of community. 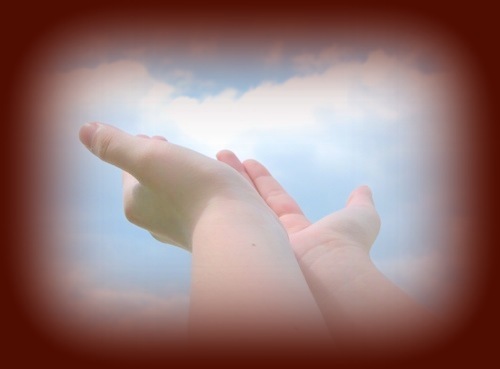 It is a time of spiritual growth when the journey of 'Living Jesus' is nurtured. Postulancy is the first stage of religious life. This lasts from 6 - 9 months. During this time the sister becomes more familiar with the daily life, she learns to know the sisters & they learn to know her. Under the guidance of a Novice Mistress she has daily conferences during which she learns about the Consecrated Monastic life, our Order of the Visitation, Salesian Spirituality, our Holy Founders & Prayer. Both she & the Novice Mistress use this time to reflect & discern on the authenticity of her religious vocation. The transition from the life once led to this new way is gentle & gradual & after consultation with the Superior, the Council & the community she may be welcomed into the Noviciate. The Novice enters the Noviciate having received the habit of our Order at her clothing. Black dress, white veil, white guimp. 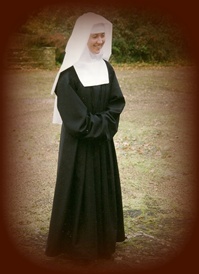 The same habit worn by our Holy Mother St. Jane Francis de Chantal in 1610. The Noviciate is a school of love and for two years the novice receives a solid foundation in Scripture, Doctrine, Liturgy & the Vows. 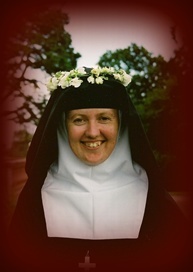 First Profession is the next step when the Novice pronounces her Vows of Poverty, Chastity & Obedience for 3 years, & after this time the sister may make her Final Profession. She makes a public, permanent committment to seek God according to the Gospel & Constitutions of the Visitation Order. She receives the cross of our Order & is fully incorporated into the community. If you feel God is calling you to the religious life & would like to know more please click below & fill in the form.